MOOG 100 Point Parison Controller. Available in Sigle & Double Station Models. 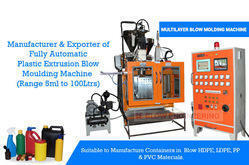 Looking for Parison Cotrolled Blow Molding Machine ?